Vera Ann (Lahosky) Menke, 82, Barrington R.I. died January 19, 2019, at Crestwood Nursing Center in Warren, RI, while surrounded by her loving family. Vera was born on August 17th, 1936 in Jersey City, NJ, to the late Peter and Luba Lahosky. She graduated as the Valedictorian of Dickinson High School Class of 1953, before graduating from Saint Francis School of Nursing in 1956. Vera was predeceased by her beloved husband John Andrew Menke Jr., and her brother, Peter Lahosky. She is survived by her Loving Children: Kathleen (Menke) Gerbasio and her husband John Gerbasio, of Secaucus N.J; Maureen Menke of Zepphyrhills, FL; and John Menke III and his wife Melissa Menke of Barrington, R.I.
Vera was also blessed with five cherished grandchildren: Anthony & Michael Gerbasio, Andrea (Gerbasio) Stephenson, and Catherine and Samantha Menke; and 5 cherished great grandchildren: Alessandra, Michael and Victoria Gerbasio, Nicholas Gerbasio and Aurelia Stephenson. She is also survived by her sister Rosie (Lahosky) Spedaliere. 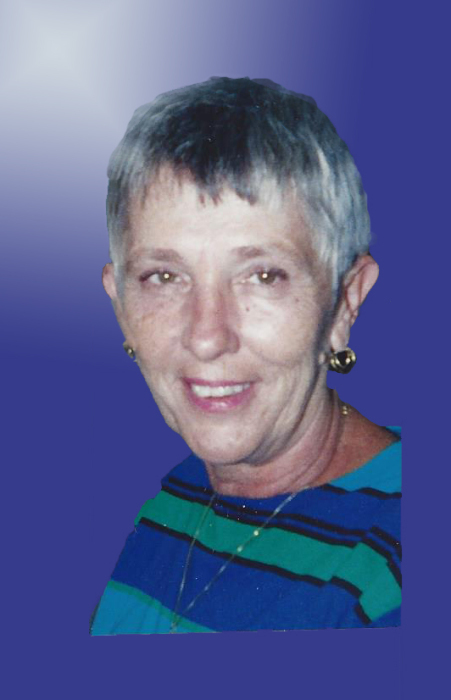 Vera was a dedicated Mom, Grandmother and Great Grandmother who loved her family immensely. The education of her children and grandchildren was very important to her. She also loved all animals deeply, especially cats. She was loved, and will be missed by many friends and her family. Cremation was private. A Memorial Service will be held on Saturday, January 26, 2019, from 9:30 AM to 10:30 AM at the funeral home (for GPS use our parking lot address: 14 Stagg St., Jersey City). A mass will take place following the memorial service, 11:00 AM at St. Nicholas Church, Jersey City. Inurnment will follow at Holy Cross Cemetery, North Arlington. In lieu of flowers, the family is requesting that donations be made in Vera's name to the Alzheimers association (www.ALZ.org).